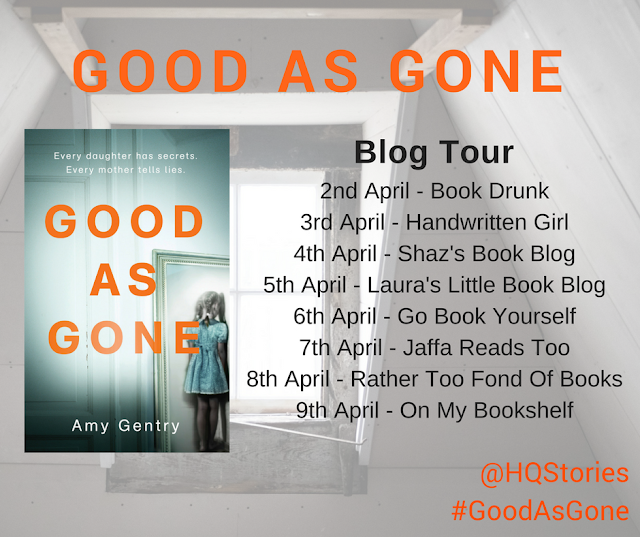 It's the fourth day of the Good as Gone blog tour and I am delighted to say that it is no my turn on the tour for this twisty book. 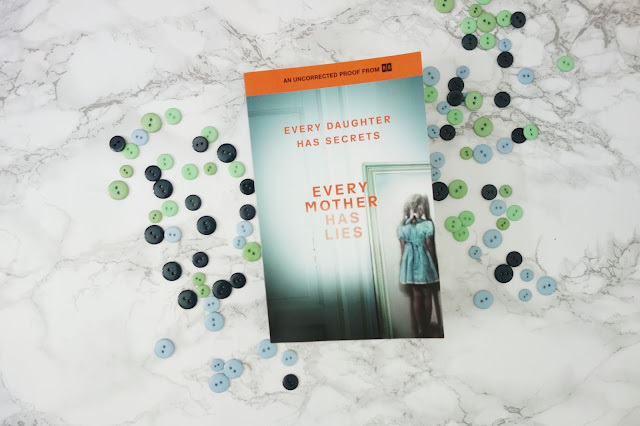 As part of my stop on this tour I have 5 questions with the author Amy Gentry on her top thriller films to watch to get you in the mood for Good as Gone. What are your top 5 (domestic) thriller films to watch that will get you in the mood for Good as Gone? 2. The Hand That Rocks the Cradle (1990) is slick, entertaining, campy fun, but also manages to hit on some very real anxieties women have about leaving their children in the hands of strangers. Rebecca de Mornay is pleasantly unhinged as the babysitter with an agenda, and Julianne Moore is especially delicious as a chain-smoking realtor who shows the perils of breaking the glass ceiling--quite literally [https://www.theparisreview.org/blog/2017/01/02/breast-feeding-noir/]. 3. You wouldn’t expect a lavish 1940s costume drama to be particularly relevant to modern-day women’s experience, but Gaslight (1944), starring Ingrid Bergman and directed by George Cukor, is so well-known that the title itself has entered into the vocabulary as a verb [https://en.wikipedia.org/wiki/Gaslighting]. Bergman is incredible as a nervous wife being slowly driven to madness by her sinister husband; two years later she played a similar role opposite Claude Rains in Alfred Hitchcock’s Notorious. Consider a double-feature! 4. Unfaithful [https://www.theparisreview.org/blog/2017/01/05/everyone-has-accidents/], Adrian Lyne’s stylish foray into adultery, is barely a thriller at all, but rather an adult drama about marriage. Still, it draws on Hitchcockian tropes--the lovers meet in a windstorm almost as alarming as a bird attack--and manages to convey something sinister in almost every frame. Diane Lane’s face, shot in luminous close-ups amid soft, seductive shadows, is so vulnerable and raw as she navigates her first extramarital affair that you just know her world is going to fall apart eventually, but when it does, it’s still a shock. 5. I have a soft spot for Sleeping With the Enemy, an early Julia Roberts vehicle that explores the horrors of domestic abuse in chilling detail through the first act. It’s not even Joseph Ruben’s best domestic thriller (that would be The Stepfather from 1987), but Roberts is a wonder to watch, and, horrifyingly, seems to be about to fall back into the cycle of abuse again with her next boyfriend at movie’s end--an ending that is sadly realistic. [https://www.theparisreview.org/blog/2016/11/25/setting-boundaries/] For a happier ending to a similar story, check out Jennifer Lopez in Enough (2002).